Lovely neutrals!! I love this looks with the bright scarf!! Love it! ♥ You look gorgeous! Love the red against these other more neutral colors!! great look book! I'm loving the outfit and the fall background! I nominated your blog for the Liebster and/or Versatile Blogger award 🙂 It's a great way to get to know other bloggers and it's a lot of fun! 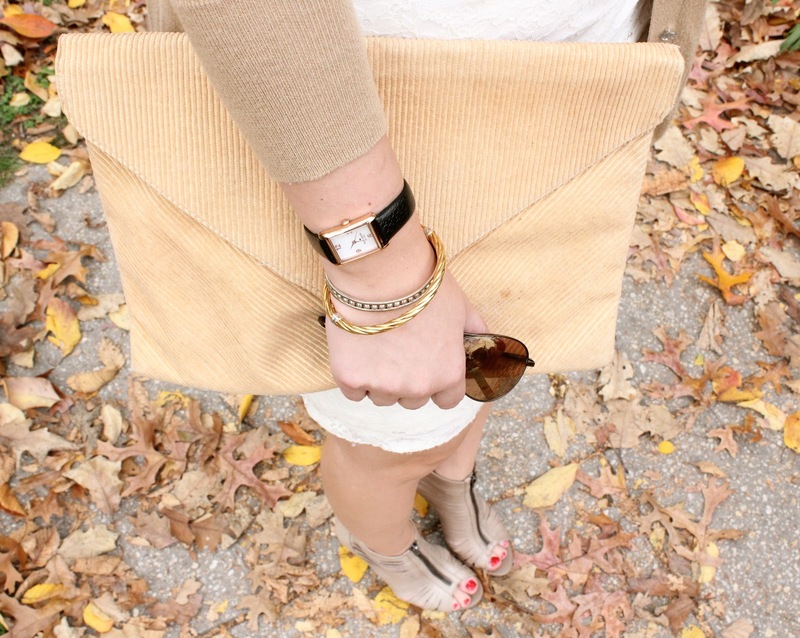 The neutrals with the pop of color from the scarf is fantastic! Hi! Thank you for visiting my blog.. 🙂 Following you now! Kisses from VV!! beautiful! would you like to follow each other in gfc? let me know! Love the colors! That envelope clutch is amazing! Cute look! Loving your dress and shoes! love the neutrals and then that pop of color! so fun! Lovely outfit, dear! The splash of red in the scarf is so cute! Great use of neutrals here! I am in love with your clutch! !